The Character of Hannibal Lecter plays a bigger part in The Silence of the Lambs than he does in Red Dragon, but for me it’s trainee FBI agent Clarice Starling who steals the show. The Silence of the Lambs also allows the reader to getto know the character of Jack Crawford a little better. Crawford turned up throughout the first book, but this time around it is easier to develop empathy for him. In Red Dragon it was Crawford who persuades Will Graham to help track down the killer the books name relates to. In a similar fashion, in The Silence of the Lambs, it is Crawford who enlists the help of Clarice Starling in obtaining an interview from Lecter. Starling agrees to Crawford’s request and goes to see Lecter. After this initial meeting a strange bond develops between the two and it continues throughout the rest of the book. Starling’s initial brief is to get Lecter to fill in a questionnaire. Lecter refuses to do this, but he does show an interest in helping her track down the serial killer Buffalo Bill. When Starling and Lecter meet for the first time Buffalo Bill has already killed five women. All five bodies were found dumped in water and they had been, to various extents, skinned. As the story unfolds a greater insight is attained into what kind of a man Bill is, and I think that it is safe to say that he is one sick puppy. There are some great characters in The Silence of the Lambs. My favourites are Starling, Crawford and—sorry got to say it—Dr Lecter; Hannibal the Cannibal has a certain panache. There are a few characters that I found suitably annoying as well: Senator Martin, for instance, and her flunky Krendler. The person who really wound me up the wrong way though, was Lecter’s Jailer Dr Chilton. But you need a few characters to hate in a novel. As for Buffalo Bill, I wanted to see him get what was coming to him, but somehow he just didn’t get on my nerves as much as Chilton etc. 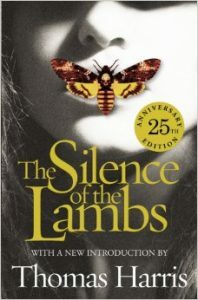 After finishing reading The Silence of the Lambs I sat and wondered if the book could be enjoyed by readers who have not read the previous novel, and I think it probably could. Very easily, in fact; as a stand alone piece of work it could hold up its own no trouble at all. I do think, however, that if a reader was to read this book first, and then decide to read Red Dragon later, it might spoil the feel of the first book. In the first book the reader is introduced to the characters of Lecter and Crawford, in the second book the reader gets to know them a lot better and becomes better acquainted with what makes them tick. If the reader was to read the books out of sync it would almost be a case of having two great characters, that the reader knows, and then treating them more like strangers. I bought a double volume containing The Silence of the Lambs and Red Dragon. Each story is about 420 pages long and if I had to pick a favourite it would be The Silence of the Lambs. There is not much more that I can say about the book because I don’t want to give too much of the plot away. What I will say is this: I think that the closing paragraph from The Silence of the Lambs is one of the best I have ever read. It’s no good skipping ahead to it though; one of the reason that it works so well is because gives the reader a sense of completion to things that they have already encountered during previous chapters of the book.